In just about any endeavour, from losing weight to kicking a bad habit to being financially-secure, adequate planning and goal-setting ensures the achievement of objectives set. Without planning and goal-setting, it may be easier to get distracted from the end objective. These two important processes have never been more important in building one's wealth than they are today. Financial planning services enable ordinary individuals to properly weigh their needs and goals against their current financial standing as well as the options that are available to them. 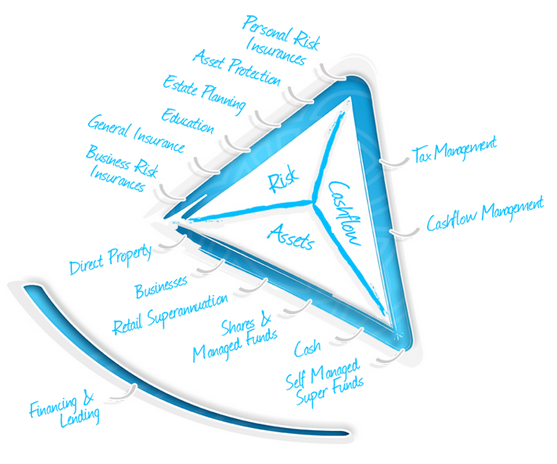 One important aspect of financial planning is establishing the right risk management strategy. A good risk management strategy includes diversification, estate planning, asset protection and insurance both for the individual and his assets. Diversification ensures that one's wealth is not put in just one basket, thus protecting the assets from market volatility and other factors that may diminish their value. However, it is also prudent to protect these income generating assets against unforeseen circumstances which can adversely affect the attainment of the financial goals. Also, it is never too early to look into estate planning even if you are just starting your own family. Another integral part of financial planning is finding the right financial advisor. But what qualities should you look for in one? First, your financial advisor should be working for you and not for a managed fund or an insurance company. Rather than sell you financial products, he should give you the right financial advice and nudge you towards the right investment decisions. To be able to do this, he should be able to have adequate experience in a variety of areas including properties and other assets, taxation, finance and lending. Not every person has a high level of financial literacy. As such, a reliable financial advisor should understand your level of financial literacy and make the necessary adjustments in teaching you what you should know. Also, a reputable financial advisor practices what he preaches such that he utilises the same strategies that he advises his clients. Finally, a good financial advisor is honest and transparent. This final quality is critical considering that you are entrusting your financial security to him. Finding a reliable and reputable financial advisor can indeed be a difficult endeavour. However, finding the right one can minimise the risks one can encounter. Make sure that the one you choose will be able to provide you with valuable advice instead of selling you financial products which might not necessarily be suitable for the achievement of your financial goals.